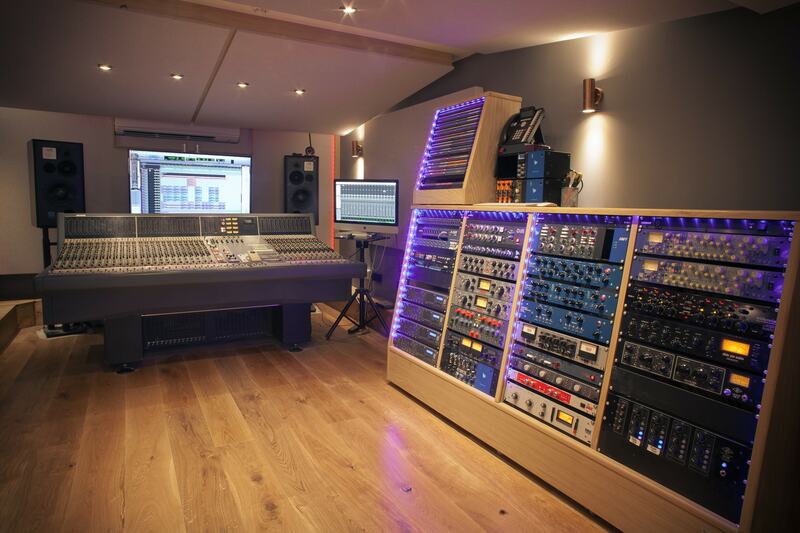 Built early 2015, our 30m2 Neve recording studio tracking room has been designed to the highest specifications. 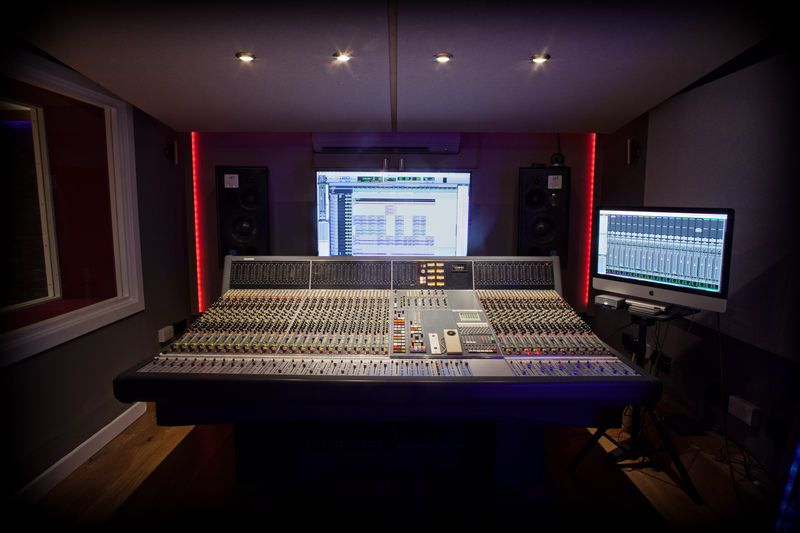 Acoustics were handled by Stephen ‘Fritz’ Pickford of e2Hz Audio who achieved a beautifully balanced and open sound from our ATC SCM50 monitors, in what was originally quite a challenging space. 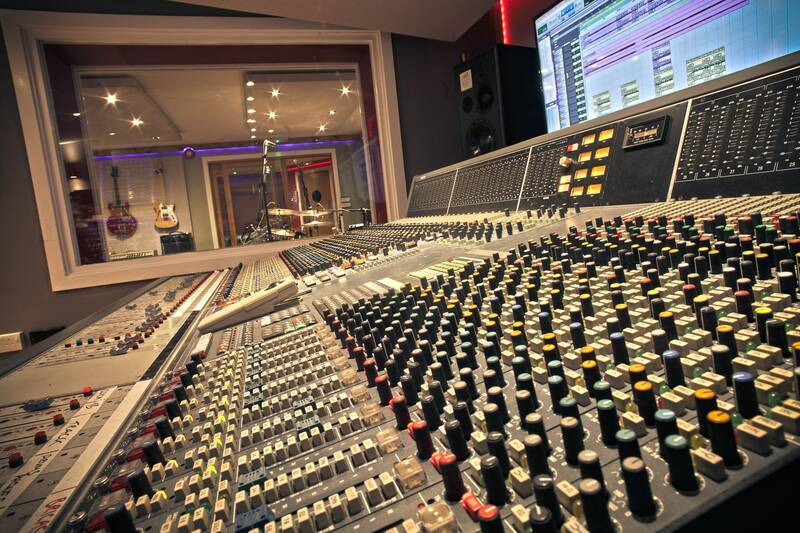 The desk it’s self is a cut down 36 channel Neve VR with Flying Faders, which lived previously at Walt Disney Studios in America and later at Chris Rea’s private studio in Berkshire. It was immaculately maintained by Neve guru Neil McCombie and represents a stunning example of the popular VR console series. Regular servicing and TLC now comes from our favourite tech wizard Sir Peter Higgs – so you can be assured of trouble free use and awesomeness. 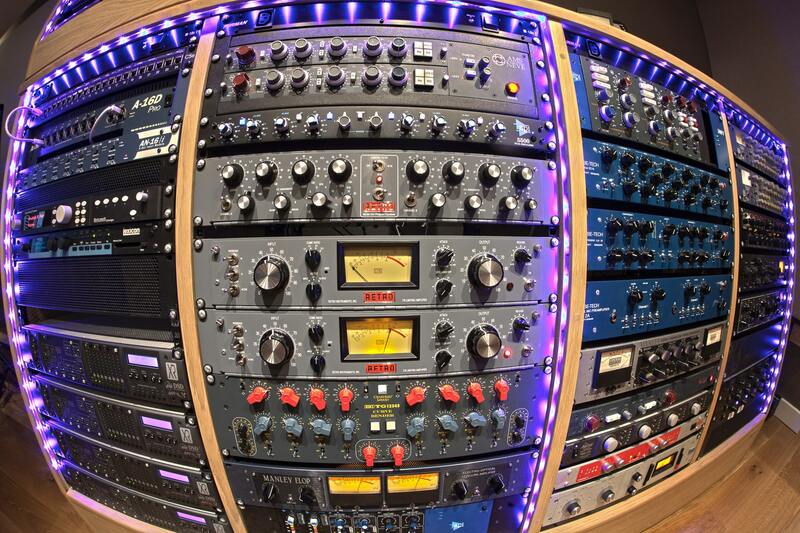 The remote Neve VR patch bay sits atop a stunning rack of world class outboard, converters and effects. Having the patch bay at eye level was a deliberate decision to facilitate quick and easy insertion of the many choices of outboard available at Alive HQ. From Neve 1081s and 1073 pre-amps to Retro Instruments 176 tube compressors and pultec EQs, all bases are covered for the most demanding of tracking sessions. We love our gear, and we’re sure you’ll find more than enough goodies to tempt your audio palate. AD-DA conversion is handled by the phenomenal Prism ADA-8XR’s – arguably the best analogue to digital converters in the world. 32 simultaneous channels of analogue audio are available into and out of Pro Tools HD Native, providing more than enough I/O for your tracking sessions. The 50″ HD widescreen monitor behind the desk provides a comfortable view of Pro Tools HD, even from a distance, allowing squint free operation. 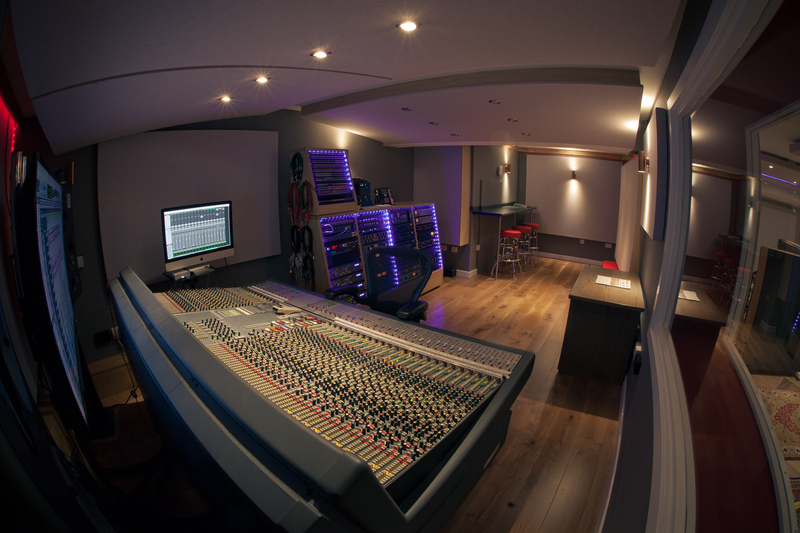 The control room is fully air conditioned, with an additional fresh air feed to keep the space feeling clean and open. Plenty of seating and table space is available for musicians and entourage, and many adjustable lighting options are provided so you can create the perfect environment for your session.